Farhaan Behardien should bat at No. 4, for there are better finishers in the Proteas' line-up than him. His style of batting will also come good for them in the middle order. Jean-Paul Duminy will have to stand tall on his experience. His batting and right-arm off-spin are both vital for South Africa. The No. 6 spot will be won after a tough competition between David Miller and Rilee Rossouw. Both have the same batting average (34.59 and 33.14 respectively) but Miller's strike rate of 99.89 might give him the required advantage. Dwaine Pretorius might get another chance at No. 7 but Wayne Parnell playing the role of the fast-bowling all-rounder sounds more secure. Dale Steyn's return to South Africa's ODI line-up after 11 months will certainly give their bowling a boost. He will have the in-form Kagiso Rabada to share the new ball. For the third pacer's spot, Kyle Abbott is likely to get a go ahead of Andile Phehlukwayo. John Hastings will be Australia's most experienced bowler in this series. For Australia, their biggest motivation would be the return of Steven Smith. Apart from his captaincy, the 27-year old right-hand batsman is considered to be one of the best in the modern times. The only incertitude for them would be to select one out of Usman Khawaja and Aaron Finch to partner David Warner at the top of the order. George Bailey and Travis Head, both of whom had an impressive tour of Sri Lanka, will take care of the middle order. Mitchell Marsh will have an important role to play in the absence of James Faulkner. The all-rounder will have to justify the tag. Matthew Wade would also be looking to continue from where he left off in Sri Lanka. But all is not that simplified for Australia. They are without the services of Mitchell Starc, Josh Hazlewood and Nathan Coulter-Nile on this tour. Their quintet of fast bowlers, namely, John Hastings, Scott Boland, Daniel Worrall, Chris Tremain and Joe Mennie have as little as 72 international wickets under their belt. Tremain and Mennie are most likely to be handed debuts at some point in the series. 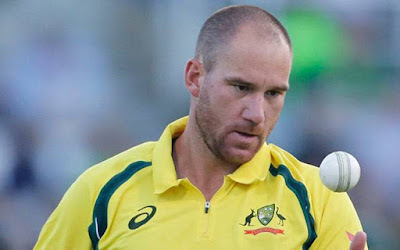 In such a scenario, the onus will be on John Hastings, who is Australia's highest wicket-taker (35) in the current squad. The young guns will look up to him for any kind of assistance. The best part about this series is that South Africa will have to manage without AB de Villiers and Australia will have to manage with the highly unfledged bowling attack. The team which adjusts the best will presumably take the contest.